At GC’s Die Casting Corp., we’ve been providing all types of industry with the highest quality aluminum die casting at affordable prices since 1999. With machines ranging from 400 to 650 tons, we have the capacity to produce die castings in a wide range of sizes and weights. From complete design to tooling construction and maintenance, to full production and post-production services, GC has the staff, the equipment, the technology to serve you. In our field our engineering is well-recognized in every segment of industry. We offer multiple alloy availability, centrally-located manufacturing, and the kind of proven, predictability in quality that top manufacturers demand. Major OEM’s in the automotive, fluid power, electronics, and aerospace industries depend on GC Die Casting Corporation. When precision is paramount, no one else is good enough. You can think of GC as your full-service aluminum die casting and finishing operation. It’s our job to provide you with a complete product- from start to finish. A casting is only as good as the tool from which it is produced. Our experienced and expert Toolmakers exercise great care in creating a high quality die. 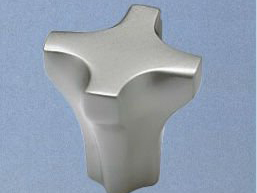 Through expert tooling, aluminum die casting can provide tight dimensional accuracy which eliminates much of the need for costly secondary operations. We pride ourselves on producing tooling that is so accurate, parts are literally ready for plating or painting after their completion. CAD/CAM Design…GC Die Casting Helps In Every Way. GC gives first priority attention to your request for engineering assistance and follows through with rapid response on quotations. Our personnel are highly experienced in the casting technology, from parts design through production, and can provide valuable assistance in design and construction of the most complex molds. From complete engineering assistance, to our qualified Statistical Process Control program…GC Die Casting provides you with all the capabilities to put your mind at ease that your job is being manufactured by a competent, caring group of people. A full-service manufacturing facility is just a part of the operation at GC Die Casting. For without our dedicated employees- from management to production to shipping- all we offer boils down to mere machines and processes. We add the the extra element of pride that shows in everything we manufacture. Give GC Die Casting a call today and let us be your complete source for Aluminum die castings. Timely Delivery, Affordable Pricing and the Highest Quality. At GC Die Casting, we know that as important as quality is-there are other key factors that make one supplier desirable over the others. Namely…price and delivery. We promise you’ll find our high quality products to be competitively priced and delivered when you need them. All of us at GC Aluminum Die Casting are proud of the cost-effective, quality products we manufacture and of our commitment to being a full-service facility with on-time deliveries.